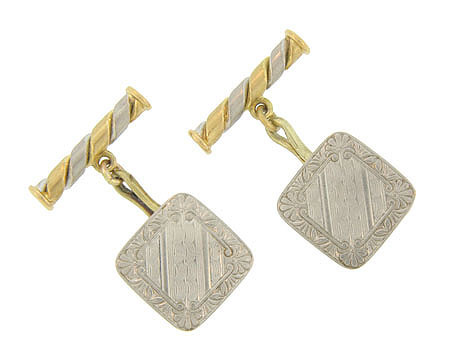 The faces of these elegant Edwardian cuff links are crafted of platinum and embellished with intricate linear engraving framed in scroll work and floral design. 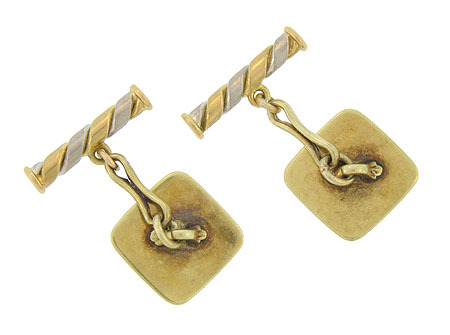 The bars are fashioned of twisting ribbons of both 18K white and yellow gold. They are attached to the platinum faces by clips of 14K yellow gold. They measure 1/2" square, the bars are 10/16" in length.